Build your own pair now. 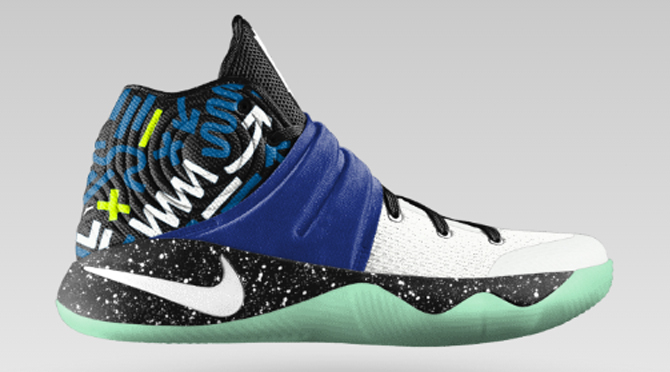 The Nike Kyrie 2 release is just under a week away, but the shoe will hit on NIKEiD before regular retail pairs arrive. In fact, it looks like the model is already live on the platform, as spotted by J23app/bdrake25 on Twitter. Customizable options allow for glow in the dark accents, a "Quickness" graphic around the heel, a bunch of different outsoles and more. Users designing pairs can leave Kyrie Irving's signature on the inside of the tongue or put their own ID lettering there. The retail price of the Kyrie 2 iD is $165. Readers can design a pair now here.